Lisboa (Lisbon) is one of the oldest DOs in Portugal; a long, thin viticultural region by the shores of the Atlantic. A number of top Portuguese wine estates are located in and around this region. The regional wines have been traditionally made from Iberian indigenous varietals: whites, such as Arinto, Alvarinho, Fern�o Pires, Seara-Nova and Vital, and reds, Alicante Bouschet, Aragon�s, Castel�o, Tinta Mi�da, Touriga Franca, Touriga Nacional and Trincadeira. It was only in 2002 that local vineyards were allowed to start planting international grapes such as Cabernet Sauvignon, Syrah, Tannat, Sauvignon Blanc and Chardonnay, so that the wineries could improve the wine quality by creating blends of indigenous and international grapes. We were in Portugal to embark on a river cruise on board the Viking Hemming, from Porto to Salamanca and back, and I thought a visit to DFJ Vinhos, whose wines I had tasted in the past and I liked very much, was in order. 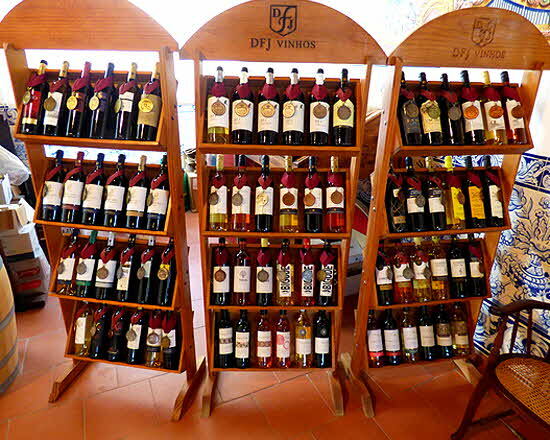 DFJ Vinhos is one of the largest award-winning Portuguese wine producers headquartered in the Lisboa DO. Jos� Neiva Correia, the owner and master winemaker owns a number of vineyards in Lisboa and 3 other DOs -- Alentejo, Setubal and Duro. 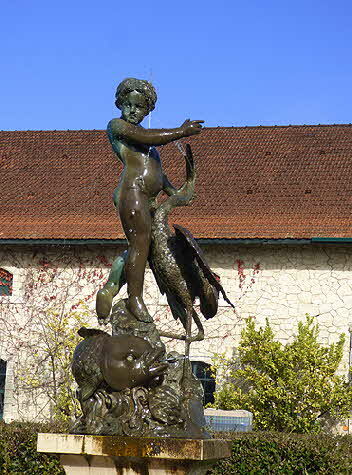 The headquarters are at Quinta da Fonte Bela, about 45 minutes from Lisbon. It is an estate built in the late 19th century in the Cast-Iron Architectural style developed by Gustave Eiffel. 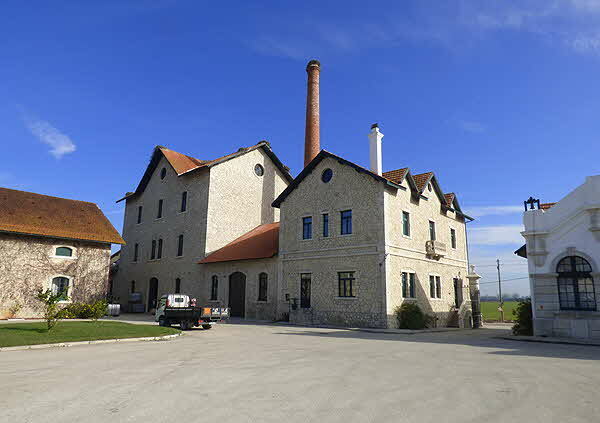 The Quinta is the major vinification center of the company and includes a cooperage where the barrels and barriques used for fermentation and aging are created and maintained, the bottling line, a large wine cellar, laboratories and a tasting room plus the corporate offices. They produce numerous wines including a number of “everyday”�� brands (Bigode, Pomar, Coretto, Portada, Two Ravens, Segada) and the “Regional Lisboa” (Grand’ Arte, Escada and Alta Corte). Also premium brands (Paxis, Casa do Lago and Pedras do Monte), and superior premium (Vega, Fonte do Beco, Monte Alentejano and Patamar), plus the exceptional Consensus line, Quinta do Rocio, DFJ, and Francos. At the winery’s tasting room I spend considerable time tasting many of the latest vintages but I will condense my notes to mention the wines I really think form the pinnacle of DFJ�s production: Quinta do Rocio; a number of bottles from the Grand’ Arte line; the Escada line, 2 reds from the Duro and 2 from Lisboa; the Consensus line from Lisboa -- one white, one red; Alta Corte, a red blend of Tinta Roriz and Caladoc; and Francos, a reserva blend of Touriga National, Touriga Franca and Alicante Bouschet. They are all serious wines so look for them; they are all very well priced and worth every penny paid. Louis Guveia, the sales and marketing director, was kind enough to pick me and Barbara from our Lisbon hotel and drive us to Quinta da Fonte Bela. After touring the facilities, we went to a local restaurant O Balcao (the balcony) for a quick lunch that also gave me a good idea of what some of the wines Louis brought with him tasted when paired with food; which, in my mind is the absolutely correct way to taste a winery’s product. 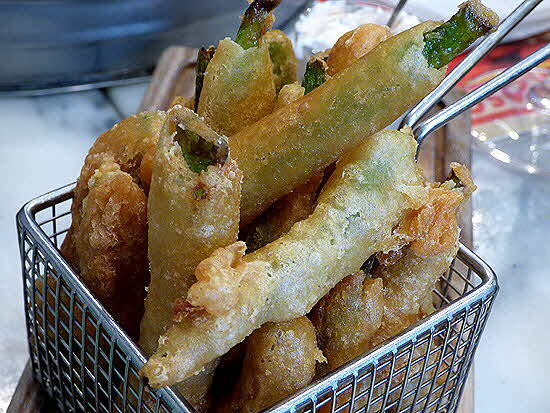 We started with small plates of appetizers such as deep-fried bull’s tail croquettes with a savory mustard; 2 kinds of fish, sweet water and salt water plus shrimp and salad greens in a deep-fried cornetto; fajitas of goat with toasted almonds and tomato flavored mayonnaise; tempura-style battered and deep-fried green beans; shrimps in a soupy rice etc. To accompany the food we had a 2014 bottle of unoaked DFJ, a bright and fruity white blend of 50% Alvarinho and 50% Chardonnay as well as a 2016 bottle of Escada, a red reserva of 100% Touriga Nacional from a single Estate in the the Lisboa DOC. Both wines worked very well with the small plates and I loved the full-bodied and spicy Escada with the deep fried dishes while the white DFJ paired best with the rice and shrimp dish. We then returned to the tasting room where I had the chance to taste samples from almost all their brands. As promised above, I will only talk about the wines I considered the highlights of this tasting. I had tasted in the past the Grand’ Arte line and I thought that the current vintages were showing better than when I tasted them last. I especially liked the white Alvarinho; a fruity monovarietal with notes of pears, apples and hints of tropical fruit and I would rate that at 90/100. From the monovarietal reds, the ones that stood out were the Alicante Bouschet and the Touriga Nacional both could be rated at 87/100 or 88/100. 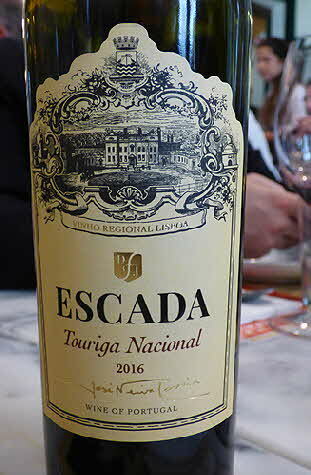 The only blend in the line, the Special Selection of Touriga Nacional and Sirah, was eminently drinkable with great legs, black cherries, plums and dates on the nose and hints of sandalwood and cedar and I would rate that at 90/100. The Quinta do Rocio line is from a single estate in the Lisboa DO and consists of a barrel fermented white blend of Arinto and Chardonnay and a very complex, lightly oaked blend of Touriga Nacional, Tannat, Shiraz and Alicante Bouschet. Both are very elegant, food-friendly, well structured and showing surprising minerality at the finish. The white would be rated at 90/100 while the red would be 91/100. 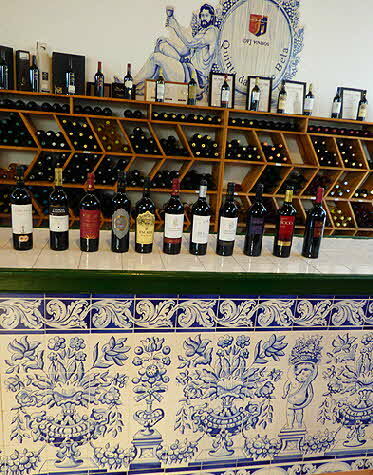 The Pedras do Monte line also consists of 2 wines, one from the Lisboa DO and one from Setubal. The Lisboa bottle is a blend of Cabernet Sauvignon and Tinta Roriz, medium to full-bodied with a deep ruby color and an interesting nose of cassis, spice, cinnamon and vanilla with hints of oak. The finish was medium with medium but well integrated tannins. It is a surprising inexpensive wine for the quality it represents. Rated at 87/100. The 2016 Alta Corte is another interesting blend of Tinta Roriz and Caladoc. Caladoc is a hybrid, a cross of Grenache and Malbec created by Paul Truel in France, in 1958. The wine is aged in French Allier barrels for 2 months plus in bottle for another 3. Beautifully garnet colored with purple highlights. Nicely aromatic, with vanilla noticeable from the barrel aging; the palate of figs and red fruit with hints of dates and prunes is quite remarkable. 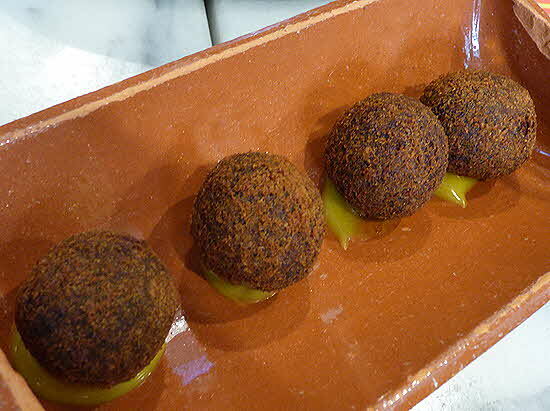 It is a very good, young wine that would pair very well with game, lamb and other full flavored dishes. This red I would rate at 88/100 points. Finally what I consider their three best bottles: the barrel fermented white Consensus (a blend of Arinto and Chardonnay), the red Consensus, (a blend of Pinot Noir and Touriga Nacional) and the Francos Reserva (a blend of Touriga Nacional, Touriga Franca and Alicante Bouschet). The white Consensus is a wood aged blend that offers both great fruit and toast flavors. It is fruit from two exceptional Quintas, Quinta do Rom�o and Quinta da Ponte both in Lisboa DO.� It is a sophisticated rich bottle, very age-worthy that will improve with some additional age. I usually don’t recommend aging white wines (except for German Rieslings) but I will make an exception and recommend this particular one; buy a case and put it aside for at least 3 to 4 years. The nose and palate show very ripe fruit, specifically apricots and loquat, along with some slight resin notes and light oak. The finish is well balanced with good acidity that should hold even after cellaring for a few years. Again, very well priced for the quality. I would rate this wine at 91/100. The two reds, the red Consensus and the Francos Reserva were tasted without food at the winery and later on, during our Viking River Cruise from Porto to Salamanca, I shared them with oenophiles that were at our table. And believe me… it was very interesting to see the reaction of these other people, many long time high quality wine drinkers when they had a glass each of these two wines. The consensus was that these two reds were as good as any French Grand cru or Italian high-end reds. Red berries and black plums characterize the aromas and palate of the red Consensus. Great juicy texture and solid ripe tannins indicate a wine that though very drinkable now after decanting, will improve when cellared for a few years. I have enjoyed this wine and have written about it in the past and I will recommend it this time around as well. The red Consencus I rate at 92/100. The 2015 Francos Reserva is the flagship wine of Jos� Neiva Correia and it shows elegance and great style. Hand-selected bunches of Touriga Nacional, Touriga Franca and Alicante Bouschet from the Quinta de Porto Franco are fermented in oak for 14 months, and further aged in bottle for a minimum of 18 months. It is a big wine which reveals black forest berries, red cherries and black plums on the nose and palate with hints of cedar, spice and a little vanilla. The great balance between the fruit and oak is remarkable. This wine was drunk accompanying roasted Leit�o Assado (suckling pig) and was smooth, intense, with a long, persistent and elegant finish. I rate the Francos at 94/100.